Im about to create realistic looking animation of someone blowing dandelion seeds up in the air. Im quite newbie when it comes to PFlow or any simulations execpt cloth, and I’m having some troubles to get through the process so just wondering if someone could help me a bit. Seeds are attached to main body and are rotating in the wind. - This is the first problem for me. How to attach particles from specific point (pivot point for ex) to the exact spot on the surface so that partcler can still be rotated because of wind? Seeds are unattached randomly, some easier/faster than others. 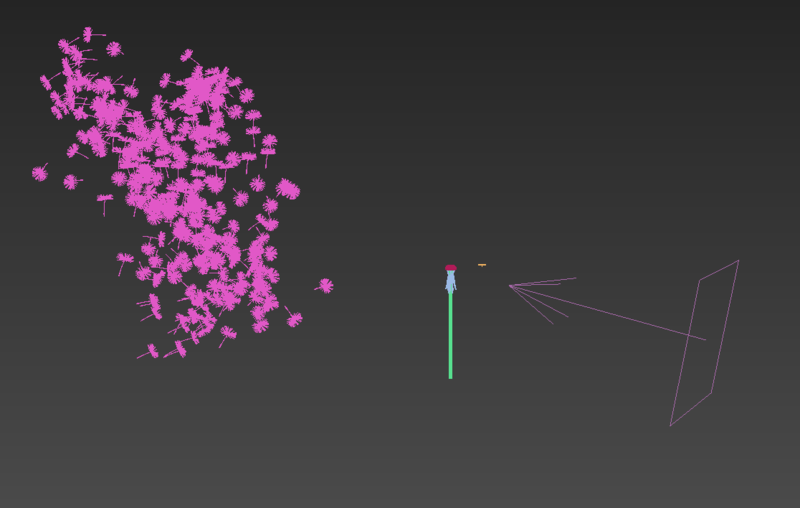 - Basically I dont know how to to unattach particles randomly. Seeds are flowing in the air so that the fur is acting like a parachute. - In my test with wind particles did rotate to random rotations in the air. I would want it to feel that there is gravity pulling the most heviest part down (seed part itself) and so that there would not be any seeds upside down flowing in the air. 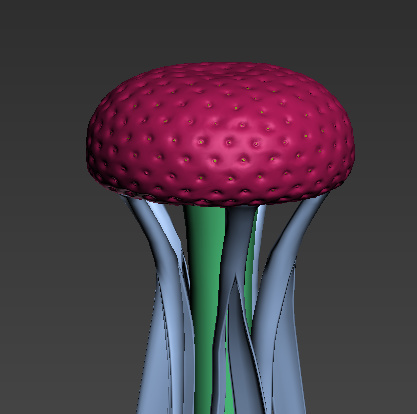 I’m using 3ds Max 2014. If you go to sort of top view, you’d see the dandelions are in a pattern of a smiley dude with beard. They are correctly aligned to the surface normals, then randomly drift off…after fooling about in the air, they assume your ‘parachute’ and fall down. Anyway, that’s enough from me. You take over.